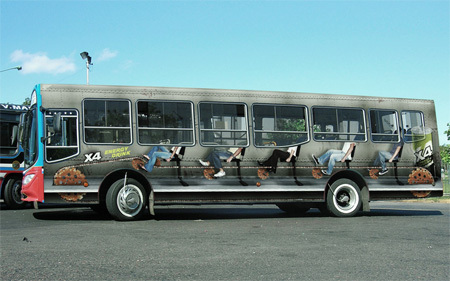 Creative uses of buses in advertising campaigns by various companies. 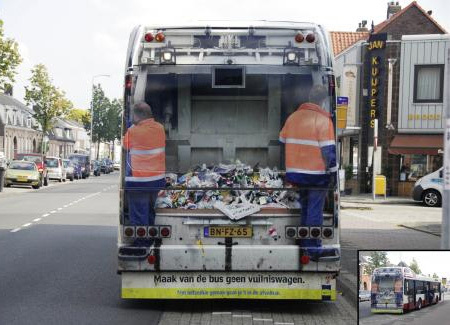 Don’t turn the bus into a garbage truck. It’s just as easy to throw your trash in the waste bin. Car shown not actual size. The Roomy Twingo. Stuck in the wrong job? – Monster.com. 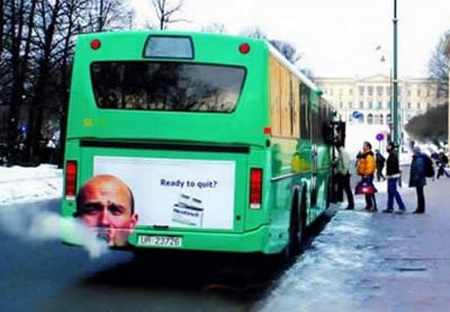 Creative bus advertisement for Tabasco in Belgium. 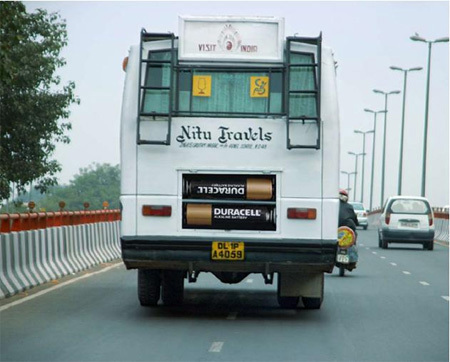 Creative bus advertisement promoting Duracell batteries. “Don’t drive on fake parts” – ACDelco. “Air travel at land travel fares”. 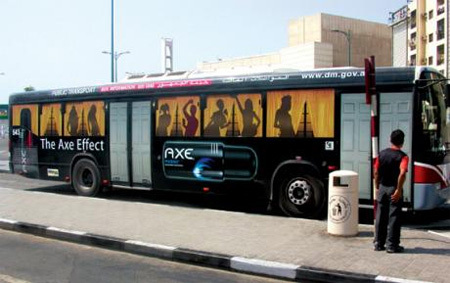 Bus advertising campaign for Axe deodorant body spray in Dubai. 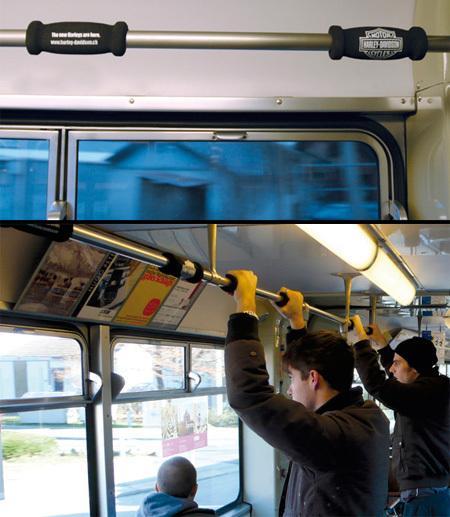 Motorbike handles were mounted in buses to announce the arrival of new Harley models. 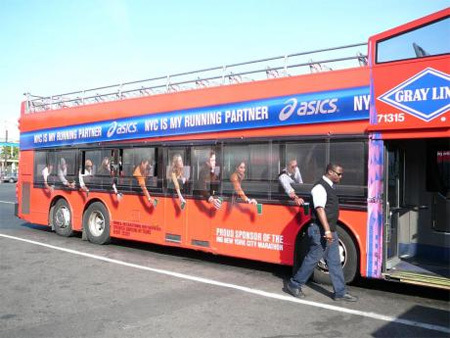 “NYC is my running partner” – ASICS. 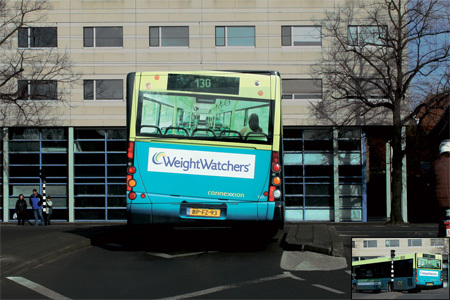 Clever bus advertisement that speaks for itself. 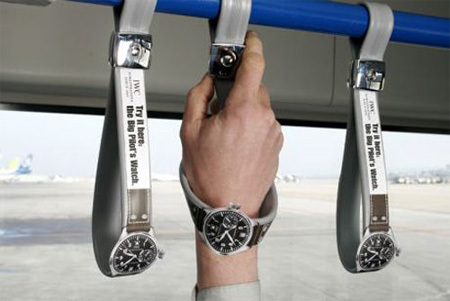 Riders in Berlin, Germany got to try IWC’s Big Pilot’s watch mid-commute because bus straps have been fashioned into samplers by Jung von Matt/Alster. “Built for the kill. Now on National Geographic Channel”. 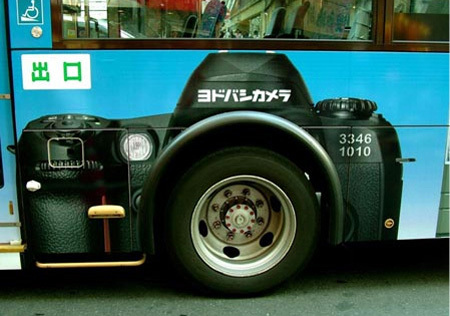 Creative bus advertisement for Yodobashi camera store. 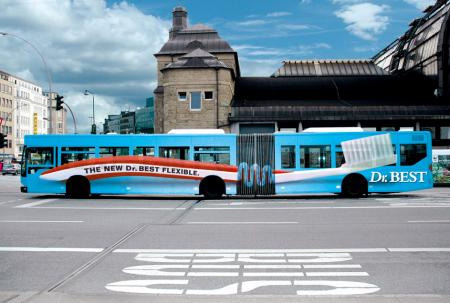 “The new Dr. Best Flexible”. How much can one small bottle clean? 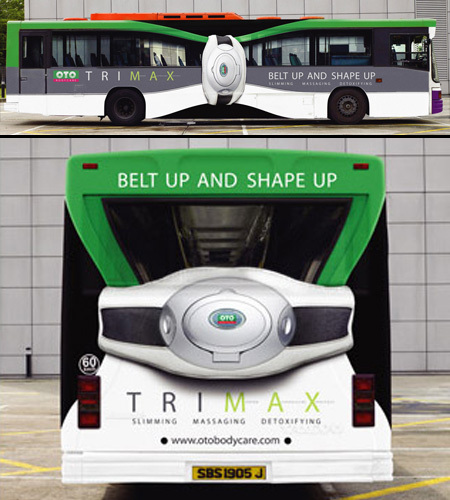 “Belt Up and Shape Up” – OTO Trimax. The Rebault Ad is a Great Idea, two thumbs up! great selection, such smart ideas!! thank you!!! I used to design those in college….we did taxis mostly…..all vinyl cut…..
Had seen a couple already but most are new to me. Very creative work on most. 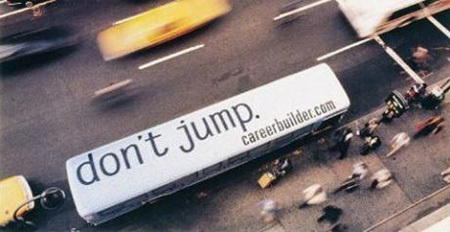 I really don’t like the road safety bus ad. 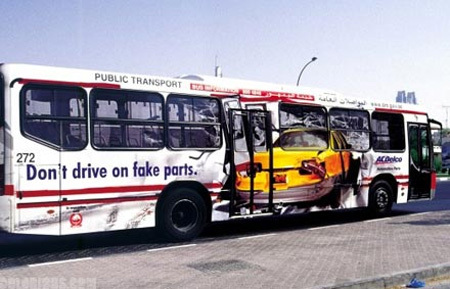 Stop smoking and don’t drive on fake parts buses really drove the point home! wonderfull, i didn’t think the bus become the advertise media. can we come up with ideas? open-source advertising and marketing is the future! Here is what I have captured about couple of years ago. 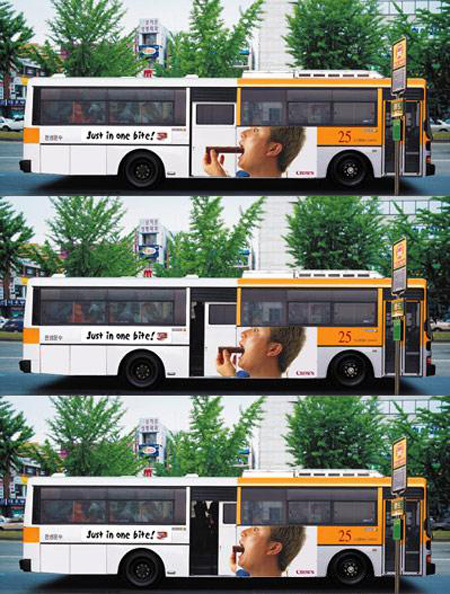 oh, it’s all about being creative – very clever advertisements! I wanna do like that! 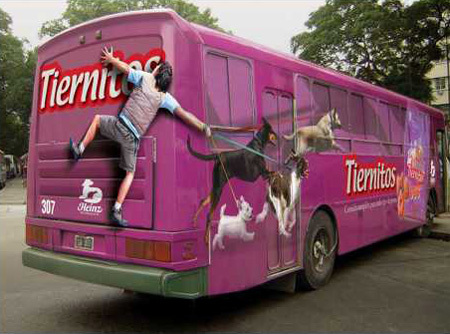 Very funny and creative advertisements. People get more creative during recession times..
Don’t jump! And Jaws are my favorites! Very cool and innovative! Those are really great to see!nice! 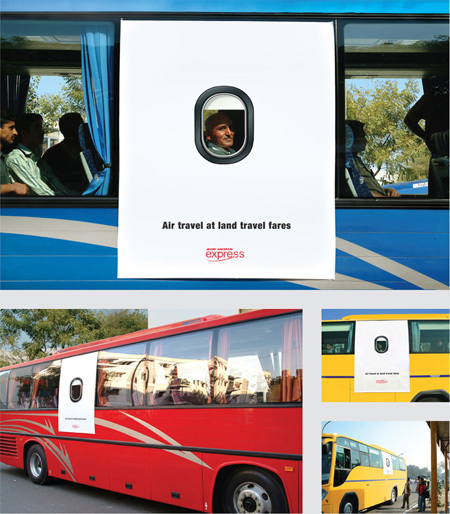 very creative, especially the Air India Express Bus Advertisement.. Kool. Really cool, made me smile! There is a lot of creative people, isn’t? 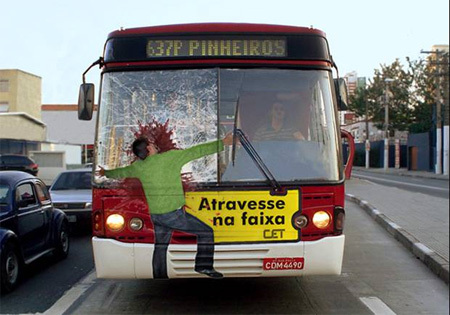 on the “Road Safety Bus Advertisement” the right is “Cross on the pedestrian crossing” in portuguese. A criatividade é mesmo algo incrivel! Isso devia ser feito no Brasil tb! Assim poderiamos reclamar da nossa politica de uma forma q realmente chame atençao!! Aren’t some of these (most of them?) distracting to other drivers/pedestrians? Sure they’re creative, but if they lead to accidents, they’re also hazardous. Very very nice… the magazine “Super Interessante” (Very Interesting) from Brasil published your address. Congratulations. Hello, very very good site, i love the images, i see the photos on a brazilian magazine : ”Super Interessante” , Congratulations…. wow nice photos what amaizing job! 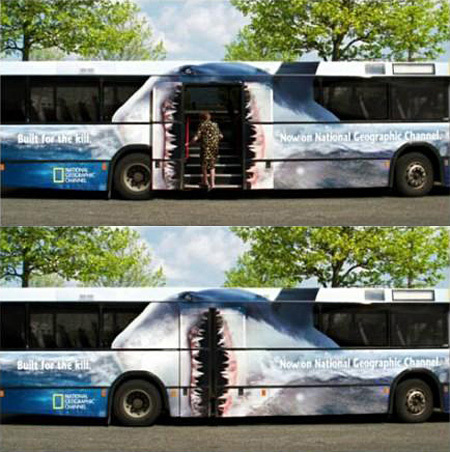 i want to travel in a bus like that! i’m brazilian but, my english is very good and i just have 11 years old! 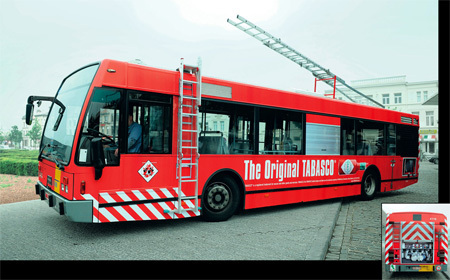 Bangalore’s bus service, BMTC, has introduced a new line of buses called Big 10. The cool thing about these buses is the branding. The logo is designed in such a way that it reads BIG in English as well as Bangalore’s native language Kannada. “Don’t jump” is the best !!! 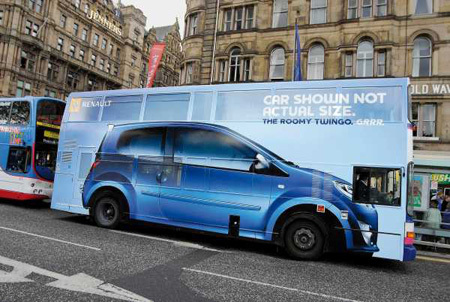 We actually produce and apply bus wrapping so its of particular interest. Its amazing what can be achieved with the right creative. Very nice, I really like how the work with opening doors and the Harley Davidsons + the watches. 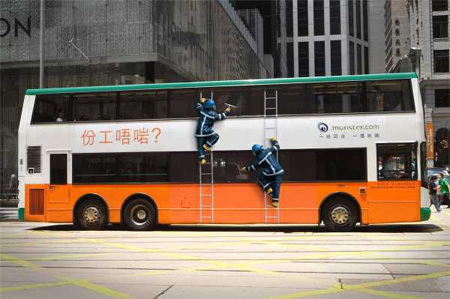 “Monster wrong job bus ad.” at Hong Kong. Cheer. 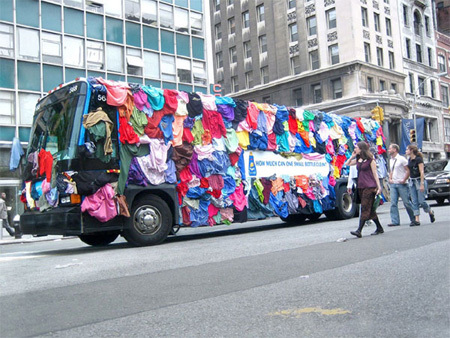 I’ve seen a lot of great ad collections, but I love the bus ads. There are so many great ways to use the medium to get across a powerful message! really very eye catchy n very very creative …….